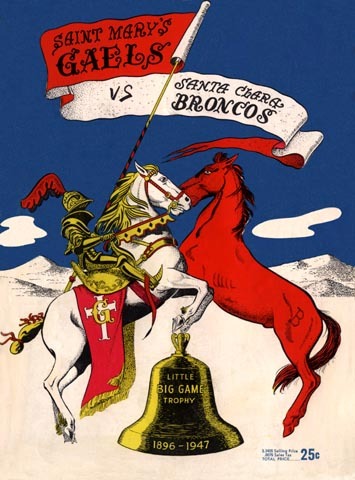 After opening their post-war adventures with two straight bowl appearances, the Gaels began their gridiron descent in 1947, and this walloping by their traditional down Bay rivals was symptomatic of the decline. They made it much closer in the three subsequent years, but in 1951 they dropped their Division I program, and now have dropped football altogether. But it was a great run while it lasted.